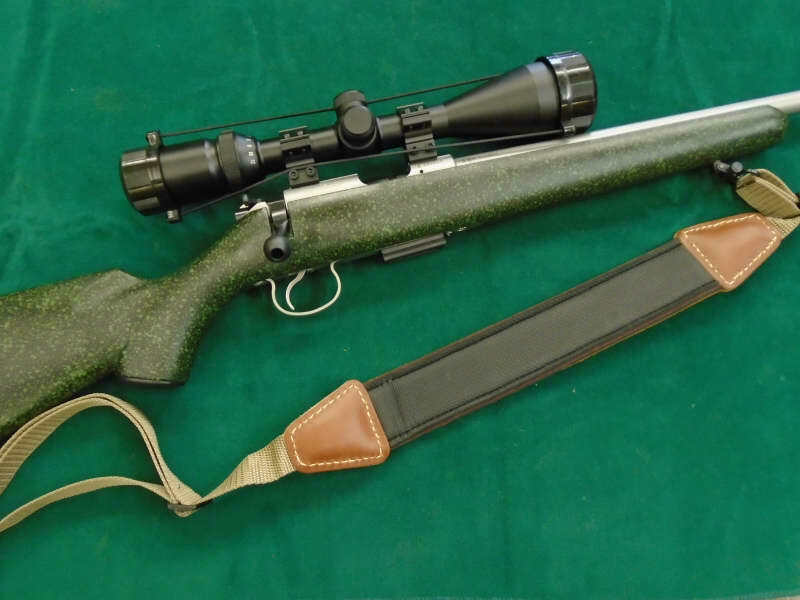 17HMR CZ 455 American. 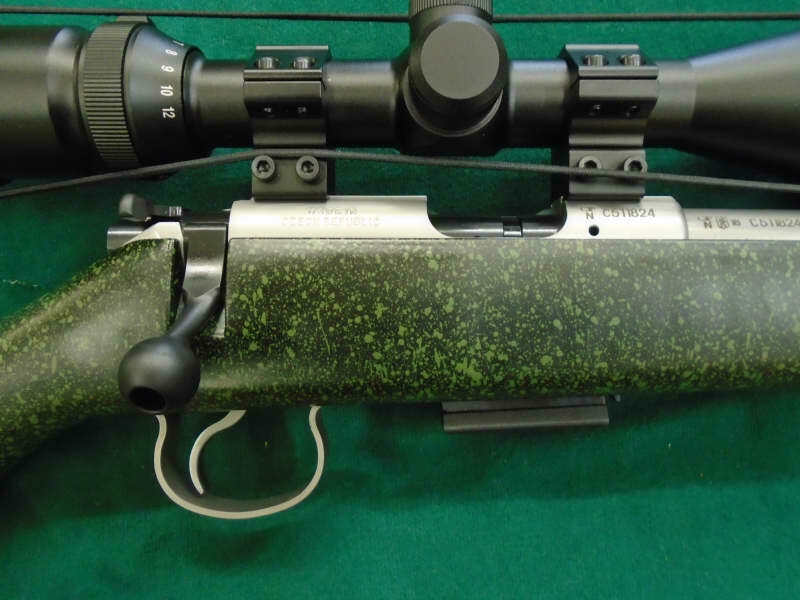 Stainless 16 inch barrel.. Black & Green synthetic stock. 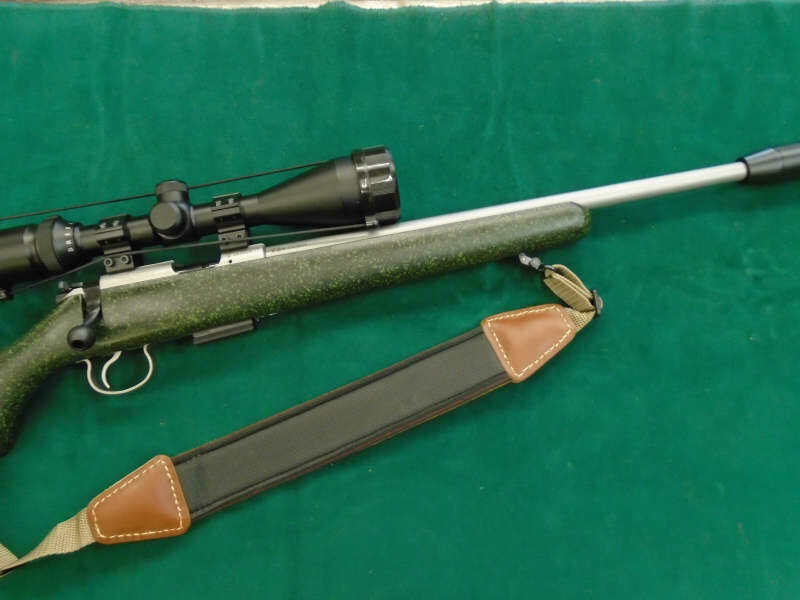 Package includes 3-12 x 50 scope, Sirocco moderator and sling.